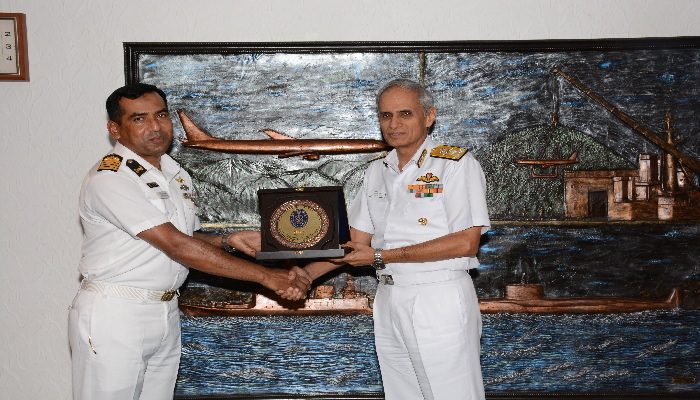 Bangladesh Naval Ship Somudra Joy arrived Visakhapatnam on a four day visit to the Eastern Naval Command on 04 September 2018. 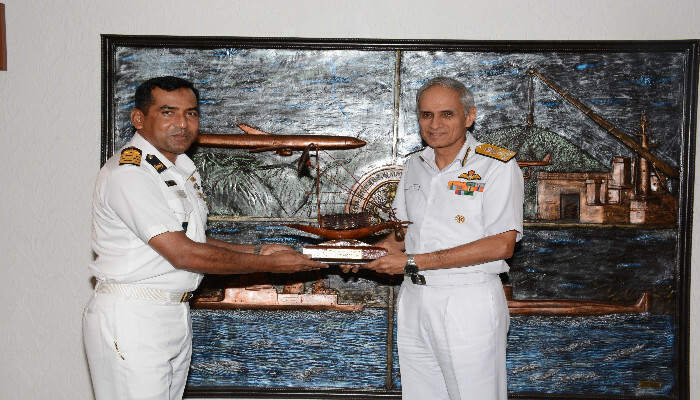 The Bangladesh Navy ship was accorded a warm welcome by officials from ENC and the Eastern Fleet with Naval Band in attendance Capt M Moniruzzaman, Commanding Officer BNS Somudra Joy called-on Vice Adm Karambir Singh PVSM, AVSM, FOC-IN-C ENC. 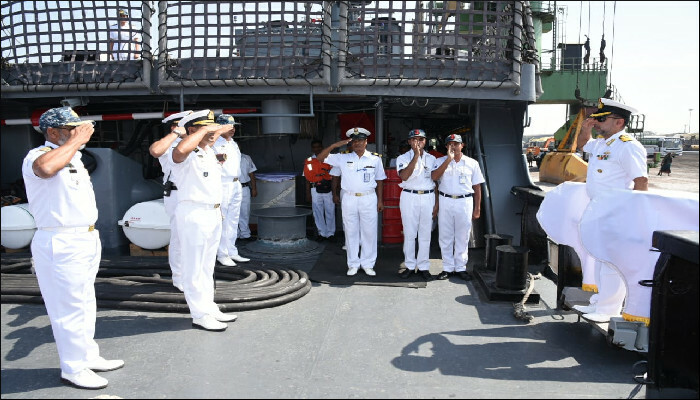 During the ship’s stay in Visakhapatnam, a variety of activities including professional interactions, cross deck visits, sports fixtures and social interactions between IN and BN personnel have been scheduled. 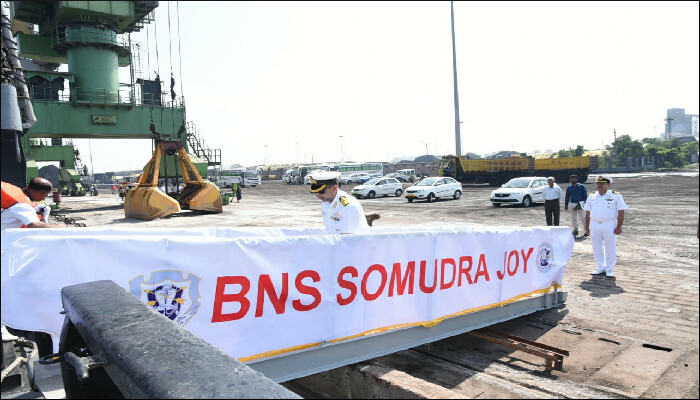 Commissioned on 23 December 2013, BNS Somudra Joy, a Hamilton Class frigate, is one of the largest ships of the Bangladesh Navy. 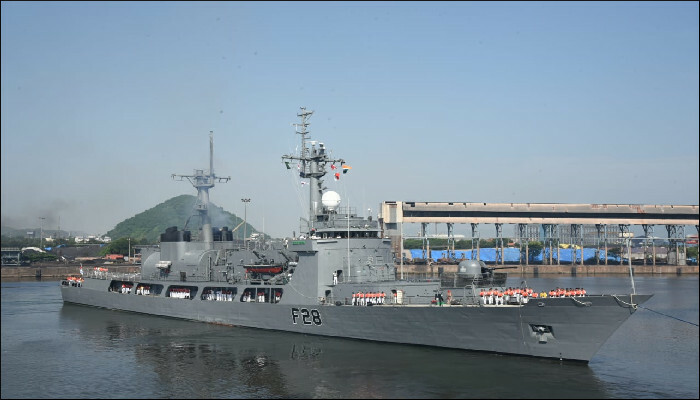 The ship earlier visited Visakhapatnam in February 2016 and participated in the International Fleet Review hosted by Indian Navy.